Traditionally a wedding list was an opportunity for couples to specify the wedding gifts that they needed to set up home together. With most couples now living together before marriage and no longer in desperate need of a kettle or toaster, what’s the alternative? Our wedding planners share their favourite ideas for alternative wedding gifts just for you. Recent studies showed that the average cost of a wedding in the UK is now an eye­-watering £24,000 so it’s hardly surprising that many couples find it hard to fund everything themselves. One popular current option for wedding gifts is to ask guests for a contribution towards a honeymoon rather than an actual gift. Many tour operators make this easy by providing cards to pop in with your invites, much like a traditional gift list. Guests can contribute via a dedicated website and leave a personalised message. This way, you still get your dream honeymoon, but hopefully it won’t cost anywhere near as much as you’d imagined. Maybe you’d like some help to book some of the extras you couldn’t afford to treat yourselves to? With honeymoons billed as ‘the holiday of a lifetime’ you’re bound to be tempted to indulge yourselves. 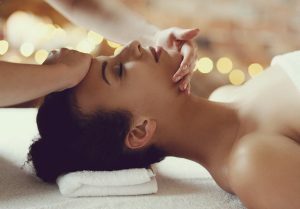 Excursions, experiences and spa treatments can often be booked in advance and will give you and your new spouse wonderful, memories of your trip. Devise a wishlist and ask your guests to pick something on your behalf. That way, they can book something tangible rather than simply contributing to a fund. How about asking for wedding gifts that just keep on coming? 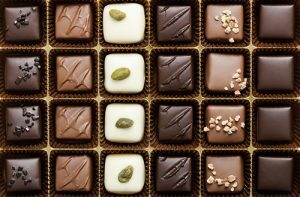 There are lots of companies now offering gift subscriptions allowing you to take delivery of everything from chocolate to cheese on a monthly basis. Hot favourites are the likes of Hotel Chocolat and The Cheese Society who both offer monthly tasting subscriptions. For flower lovers, Bloom and Wild post their blooms in flat boxes for easy delivery meaning you can enjoy the luxury of having fresh flowers in your home at all times. 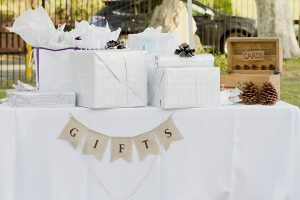 These options make a unique alternative to a traditional wedding list and mean you’ll be gifted something you truly appreciate. With the financial pressure of saving for a wedding, home and garden projects are often abandoned due to a lack of available funds. So why not address this by asking your wedding guests to help contribute to improving your home? If you’re desperate for a new bathroom, or patio, then your wedding could be the perfect time to ask for some help. Vouchers make a great gift and if you choose a high street DIY chain such as B&Q, you could accumulate some much needed funds to make your renovation dreams a reality! Some couples feel that their wedding is the perfect occasion to recognise others who are less fortunate than themselves and instead of receiving gifts, they would prefer to give something back. The Alternative Wedding List is a wonderful site that allows couples to choose causes they feel passionately about, and ask their guests to donate money to supporting charities. Whether you want to support overseas or home charities, disaster funds or medical research, you can select your favourite causes and let your guests donate on your behalf. We really hope you like the alternative gifting options we’ve chosen. Our team are always on hand to guide and advise you with any aspect of your wedding preparations so why not give us a call at Woodhall Manor on 01394 411 288 or email info@woodhallmanor.com and talk to our expert event planners for yourself. For more creative wedding ideas visit our Inspiration page regularly.